A hand injury can cause all sorts of problems with day to day life on a short-term or long-term basis depending on the severity. When your hands are injured, you soon become aware of how reliant you are on them, especially the dominant hand. When your accident is caused by a third party’s mistake or negligence, then you can make a hand injury compensation claim against the other person using a no win no fee service. If you’d like to begin a claim today, please call Advice.co.uk on 0161 696 9685 and speak to one of our personal injury specialists. If you’d like to know more first, please carry on reading and we’ll provide all the information that you’ll need when deciding whether to claim or not. Hand Injury Compensation Calculator – How Much Can I Claim? How Severe Can A Hand Injury Be? How Do I Prove Liability For A Hand Injury? Why Make Your Personal Injury Claim With Us? Hand injuries which cause some loss of function of one or both hands can really limit what we can do day to day and impact upon our, and others, lives. They are one of the more common personal injury claims because, when we fall forwards, we tend to put our hands out in front of us to break the fall. This guide aims to help you decide whether to make a compensation claim if your accident was caused by somebody else, whether that be by a negligent action or a mistake. We’ll cover what you should do in the event of an accident, how to make claiming compensation easier, what amount of compensation you could receive and how to make a no win no fee claim. On top of this, we’ll cover the most common types of accident that lead to hand injury compensation claims. If you have any queries while reading this guide or afterwards, you can call us for free legal advice and guidance on what steps you should take next. There’s no such thing as a typical hand injury as there 27 different bones in each hand as well as growth plates (in children’s hands), tendons, nerves and muscles that can all be injured during an accident. Different types of hand injury will cause differing impacts on the victim, but even a simple fracture of a finger can limit the victim’s ability to complete everyday actions. Claims can be made for any hand injury so long as the accident was caused by somebody else. Compensation for hand injuries are made up of a number of elements, which means a personal injury calculator wouldn’t really work when assessing the amount of compensation that you may receive. One of the elements in a claim is called General Damages (see the next section for more information) which is compensation for the pain and suffering caused. The table below details some of the hand injuries and their relevant compensation amounts. Hand Extremely Severe £11,520 - £160,600 This range would include injuries so severe that one or both hand has to be amputated. Finger Mild - Severe To £29,290 The compensation awarded in this category will depend on which fingers are injured, how badly and how many. As you can see, each injury type has a range of compensation associated with it depending on how severe it is. Personal injury solicitors use medical experts to ensure that your injuries are correctly assessed so that your injury is placed in the correct area of the range and that you gain the correct amount of compensation for your injuries. As mentioned before, this is the compensation that is paid for pain, suffering and loss of amenity to the victim following an accident. These are calculated by real financial loss that you have suffered and future financial loss that you may suffer going forward following your accident. The idea behind special damages is that you should not be left in a worse financial position than you were prior to the accident. If you need to travel to medical appointments, hospital or have to arrange any alternative travel arrangements (because you can’t drive because of your hand injury for instance), then you can claim these costs back. When your employer doesn’t pay full sick pay, you may lose some of your salary if you have to take time off of work to recover or to visit the doctor. If this is the case, you can claim the lost income back. If your injuries are so severe that you have to change jobs or stop working altogether, then you could claim for future lost income as well. When you’ve injured your hand, in some cases, you may need to get help doing everyday tasks, while you’re recovering, that you would’ve done yourself previously. If this is the case, then your solicitor may add these costs to the compensation claim. Your solicitor will need to know all of the special damages at the same time as, once you’ve had your claim settled by the other person, you won’t be able to ask for more compensation at a later date. If any item of your property is damaged at the time of your accident, then you could claim the cost of replacing or repairing the item. Receipts should be provided to back up these claims. 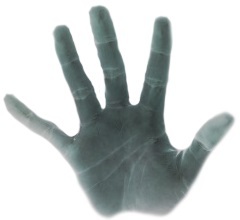 Hand injuries are very commonly reported in accidents in the workplace. There are estimates that some 40% of accidents at work include hand injuries with an average 6 days off from work per accident. Other accidents that result in hand injuries are not recorded in the same way so it’s difficult to ascertain what percentage of accidents cause them but it’s fair to say that pretty much any type of accident can result in damage to the hands. Not all accidents are the fault of the employer, but we will cover workplace accidents in the coming sections. Advice.co.uk can help with any type of personal injury claim for hand injuries caused by somebody else’s negligence. Please get in touch with us to discuss whether you have a valid claim for compensation. Every employer has a duty of care to its employees to ensure their safety while at work and while undertaking their daily tasks. Not every accident is one that the employer can prevent but cases such as poor training, incorrect protective equipment (PPE), damaged equipment and unsafe working practices could mean the employer is liable for the accident and damages can be sought by the employee. When you’re involved in an accident at work you should report the accident to the health and safety rep so that the incident is recorded and ask a copy of the report so that we can use it as part of the claim. If you believe your employer is responsible for your accident at work and it has caused hand injuries of any type, you can contact our team so that we can assess the chances of you being awarded compensation. If you have been injured in a road traffic accident, where another driver is to blame, as either a cyclist, pedestrian, passenger or driver then you could claim compensation for your hand injury. There are many hand injury compensation case studies which show compensation was awarded because of crush type injuries, broken radius injurie and fractured carpal bones all caused in road traffic accidents. If you’re involved in a road traffic accident you should seek medical attention, report it to the police if necessary, get the other drivers contact details, insurance details and registration number and also ask any witnesses for their contact details before contacting us to begin your claim. One of the most common reasons hands are injured is that when we fall our natural instinct is to put our hands out in front of us to break the fall. Slipping or falling doesn’t automatically constitute negligence, as it could just be the victim wasn’t paying attention but there are case such as slippery floors (with no warning signs), uneven paving, broken hand rails and poor lighting which could mean somebody else is to blame for your hand injury and compensation can be claimed. Most public places, such as shops, restaurants, parks, council buildings and businesses have a duty of care to customers and visitors to ensure they are safe while on site. If you’ve had an accident in a public place you should report it to the operator and ask for a copy of the report and then contact Advice.co.uk to see if you have a valid claim for compensation. The hand is made up of 27 different bones (in adults) consisting of carpal bones, metacarpal bones and phalanges. Intertwined with the bones are muscles that control the fingers and thumb, tendons, ligaments and arteries – all of which can become injured in any type of accident. Over the next few sections, we’re going to look at the most common types of hand injuries. Don’t worry if you don’t see your injury here as we can help with any type, so long as it was somebody else’s fault. When a hand is strained, sprained or a muscle is torn it can lead to reduced grip in the affected hand if there is an impact on the ligaments or tendons. These types of injuries may seem minor but can have an impact on the ability to carry out everyday tasks or mean you can’t complete your job for a period of time. You can claim compensation for strains, sprains and tears if the accident was caused by somebody else. Crushed hand injuries can be very painful and fracture or break one or more of the bones in the hand. This can mean many weeks or possibly months of restricted hand movement which in turn could lead to loss of income which could be claimed back. Each of these will be painful and, unfortunately, there is not always treatment available to fix them. Some injuries can only be bandaged with a splint and allowed to heal naturally which can mean weeks of pain and incapacity. As well as crush injuries, damage to the nerves in the fingers and hand can be very difficult to deal with as it difficult to complete basic tasks as nerve damage very often leads to loss of the sense of touch. When this happens, victims are sometimes susceptible to burns or scalds because they lose the feeling of heat as well. We can help with personal injury claims for nerve damage in the hands so please call if you believe you’ve got a valid claim. As we’ve seen in previous sections, compensation for hand injuries is awarded based on the severity of the injury and the impact it has had on the claimant. 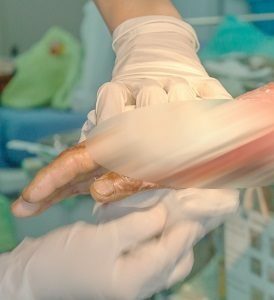 There are very serious hand injuries that can lead to total loss of use of one or both of the hands which will ultimately be the type of injury that sees the highest amount of compensation. Other hand injuries, while not as severe, can lead to long term disability, loss of function or ongoing pain which are all factors that are taken into account when assessing the amount of compensation that will be awarded. There are various types of accident that can lead to severe hand injuries and whatever type you’re involved in, if the accident was caused by somebody else, you could seek compensation by contacting our team for free legal advice. When looking at hand injury claims a solicitor has to determine if it’s somebody else’s fault or whether it was just a simple accident. And that because of that breach, you were involved in an accident and became injured. When you’re at work or in a public place, generally, you are owed a duty of care to be kept safe by the employer or the company who operate the premises you are on. The same is true on council operated streets, restaurants and shops. Once duty of care is established it is then simply a case of identifying if somebody else caused your accident to happen. If so, liability can be proven and a claim for compensation can be lodged. As with all personal injury claims in the UK, if you’re making a hand injury claim then it has to be done within strict time limits. These are non-negotiable so it’s important that you contact a solicitor as soon as possible so that they have enough time to prepare your claim and still submit it on time. The main thing you need to do, to begin your hand injury compensation claim, is to call Advice.co.uk directly and speak with one of our specially trained advisers. You’ve already read about what type of claims can be made and how long you have to make them so the next thing to do is decide if you’re ready to begin. We can help with that as we offer all clients a free initial consultation of their claim where they can ask any questions and we’ll assess the claim with them. Then, we give an honest appraisal of the chances of successfully claiming compensation. If we agree to take on the case, we introduce the client to a personal injury solicitor who works on a no win no fee basis. When you choose a solicitor to make your hand injury compensation claim we’d recommend you use one who offers no win no fee agreements. If you choose no win no fee you don’t have to pay your solicitor if they fail to win any compensation for you and, if they do win, you pay them a success fee which is a fixed percentage of your compensation. This means you never actually have to send them any money yourself which is a big benefit to a lot of clients. If you choose not to use a no win no fee service, you would get 100% of any compensation but you have to pay for the solicitor’s time yourself and, if they lose, you still have to pay them. We only work with no win no fee solicitors because clients tell us it reduces a lot of the stress when making a claim. The team at Advice.co.uk are all committed to ensuring that you get as much compensation as you deserve and work tirelessly to ensure we fully understand your claim and how your injuries have affected you. We are friendly and professional and are always honest about the chances of success in all cases that we consider. You get in touch with our team We'll listen to your claim an assess it with you If we agree, and you're happy to continue, we'll begin your claim. If you have any questions at all, please don’t hold back because we are happy to try and ensure you’re fully equipped with the right information prior to making your hand injury compensation claim. Advice.co.uk are personal injury specialists and are able to help with claims in any part of the UK. We only work with solicitors that offer our clients no win no fee agreements so that your claim is much less stressful. Email a message to claims@advice.co.uk and we’ll call you back at a convenient time. Or fill in this online form to begin your claim. Whichever method you choose, a member of our team will answer any questions you may have and assess your claim with you and let you know whether you have a good chance of being awarded compensation or not. Broken Finger Guide – A guide from the NHS about the symptoms and treatment of broken fingers. RIDDOR Information – Information from the Health and Safety Executive regarding accidents at work.